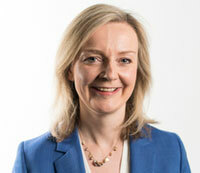 Resolution today welcomed Rt Hon Liz Truss MP in her role as the new Secretary of State for Justice. “I’d like to congratulate Ms Truss on her appointment, and look forward to building on the strong relationship Resolution has with Ministers and officials within her new department. “Resolution will continue our work to convince the new Lord Chancellor and her colleagues at the Ministry of Justice of the need for reform to family law, to help improve the lives of separating and separated families across England and Wales. 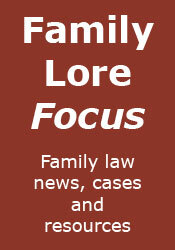 “This includes removing the legal need for divorcing couples to blame each other, which is currently a major roadblock in helping resolve matters amicably, and often acts as a barrier to people keeping their disputes away from the courtroom. “And, in light of yesterday’s ONS statistics showing cohabiting couples now make up nearly 10% of the population, we will continue to press for the law to catch up to this rapidly growing trend. Regardless of one’s views on marriage, some legal protection needs to be offered to people when these relationships break down to ensure the lack of awareness over their rights does not unfairly penalise them. “In keeping with the approach our members take to divorce and separation, we have always tried to offer constructive advice and feedback to government, even when faced with difficult decisions that put access to justice at risk. But we have never shied from speaking out when we believe the government is wrong, and I promise we will continue to act as a critical friend to the new Lord Chancellor when the circumstances call for it.